We are pulling beauty from the stars, galaxies, and infinite edges of the universe. 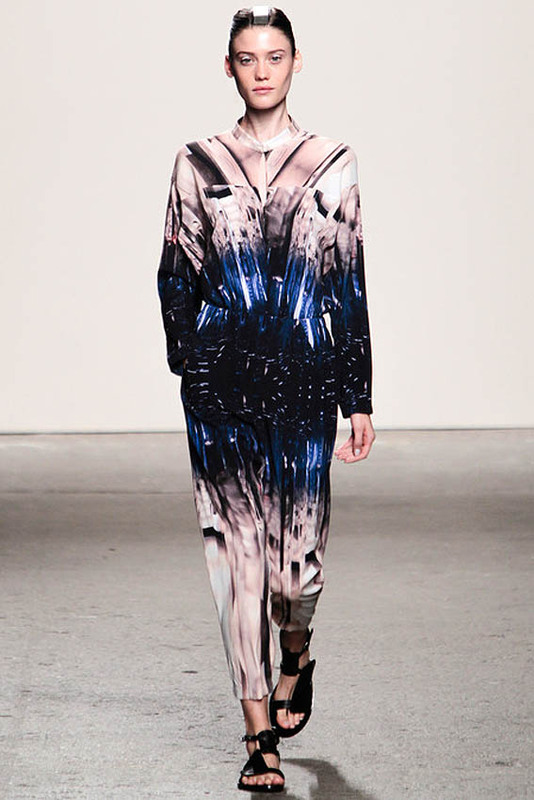 Other worldly things seem to be inspiring headpieces, wardrobe and the future of fashion. We are on the cutting edge of fashion and exploring all the innovative and mystifying possibilities that this world and beyond has to offer. Designers seeking inspiration from the cosmos: Betsy Johnson,The Blonds, Zero + Mario Cornejo, Jeremy Scott to mention a few. Zero + Maria Cornejo models head pieces orbited and wrapped around their hair during the fall and the boundless possibilities continued into the Spring show. Metal Strips ran down the center of the models heads during Zero + Maria Cornejo’s show keeping to the Sci-Fi vibe seen previously in the fall. Light airy fabrics with a futuristic print glided through the elements and models with sunglasses added to the mystification of the show. The models looked as if they were warriors from another spectacular planet, sand colored jumpers, boxy tops paired with tapered trousers, psychodelic printed dresses/jumpsuits and sheer top blouses soared down the runway. 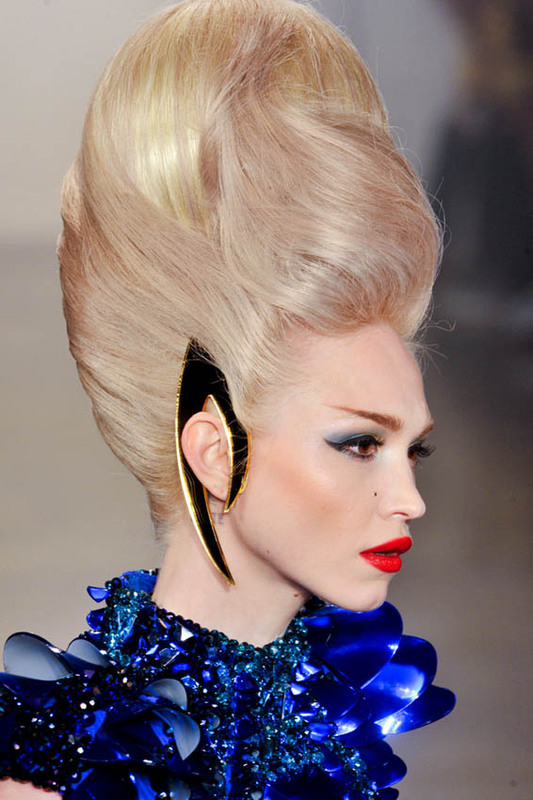 The Blonds put on quite a show to say the least! Was anyone expecting this colorful duo to disappoint? 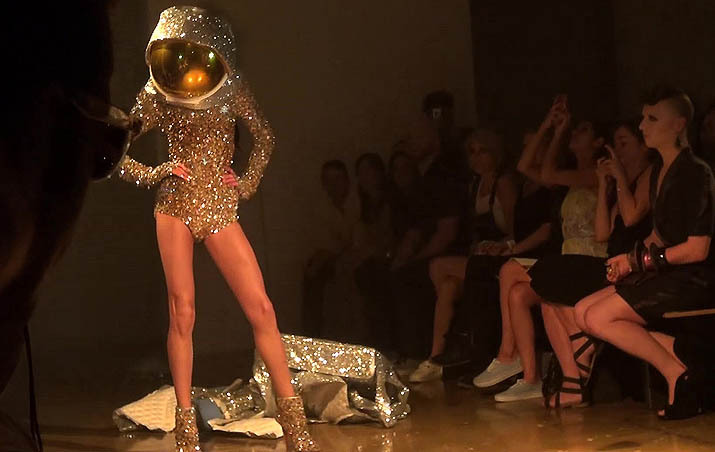 Astronauts have landed on the runway and beautiful women rule The Blonds planet with awww. Phillip and David Blond are known for their homage to pop culture. Models in corset dresses with metallic breast plates and beehive hair ruled the stage with power and laser guns. They looked unstoppable in solid metal corsets that looked hardwired into a mother board host located on another planet. All circuits were overloaded during the show, cameras clicked, pencils scribbled and mouths dropped as if they had seen a UFO. 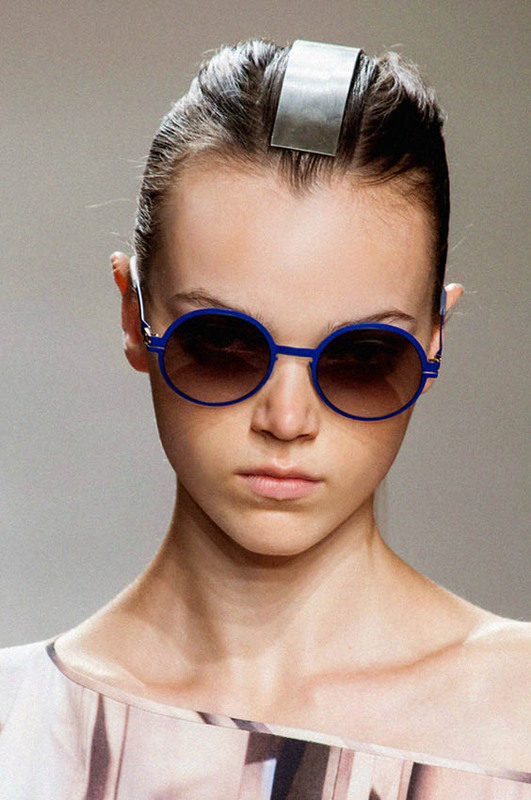 This trend has landed on earth and it requires a daring fashionista to brave this unknown world. Lets see where we can take this trend and plug into the possibilities, they are endless. Until we meet again my fashionista’s!